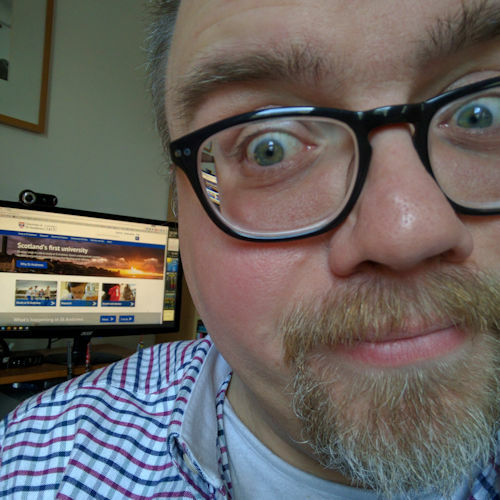 Every week I get an email newsletter from The Alban Institute. Each issue contains a leading article, usually about some area of church leadership, followed by a few book reviews and adverts about upcoming US-based seminars and workshops. It’s really interesting if you’re into that sort of thing. I usually have a cursory read through the article and then delete the email. It’s usually about stuff that doesn’t really concern me now that I’m no longer in a position of parish leadership. But today’s email grabbed me; enough to blog about it. It was entitled “Eucharist as a Way of Life”. When setting up the altar the corporal is unfolded and lined up with the edge of the altar. Onto this is placed the chalice and ciborium (if used). At this point the paten, which is resting on top of the chalice is removed and placed on the corporal. The purificator is placed to the right side of the chalice on top of the purificator. After the Eucharist everything is carefully cleared away. 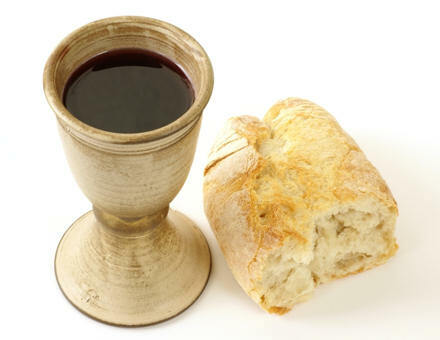 The remaining bread is consumed, crumbs are tapped into the chalice and any remaining wine is also consumed. Water is then poured (over the priests fingers to wash them) into the chalice (cup) and ciborium (bread container); some priests also pour water into the paten (plate) but I tend to just wipe it with the damp purificator after I’ve dried the chalice. That water is then also consumed and the vessels are dried with the purificator. Then, without being too vulgar about it, the dishes are ‘stacked up’: the damp purificator is scrunched up and placed into the chalice, the paten is rested on top, then the pall and the corporal is folded up and placed on top of that. The lid is replaced on the ciborium and in modern ceremonies everything is then passed off the altar to a side table called a credence table. Before I was ordained I always used to wonder what was going on here. The Eucharist is supposed to be about a meal, a family meal, with the family (the congregation) gathered around the table with Jesus. But this just seemed to be so removed from real life. Until I visited Pluscarden Abbey in Moray, and then it all made perfect sense. I had the priviledge (and being male certainly helped) of eating in the refrectory with the Benedictine Monks at Pluscarden during my pre-ordination retreat in 1999 and it was while watching them during the meal that made me understand for the first time that what we do at the altar as priests during the Eucharist made perfect sense. I watched the monks receive their dishes at the table and unfolding their large napkins they placed it on the table, beneath their bowl, and the rest they tucked into their robe. It was similar to what I do with the corporal (the large, white ‘place mat’). Food was eaten, fingers washed into their bowls, the bowls were washed out with water and wiped dry with the napkin. As I sat there I was able to finally make the connection between the Eucharist and an ordinary, everyday meal. Sure, most of us don’t eat our meals that way anymore, but many years ago we would have. We would have gone to church and watched the priest do what each of us would have done each and every day in preparing a meal which we all share in, except from one cup and plate rather than one each, and that would have shaped our view of meals and of our life. The four basic gestures — taking, blessing, breaking, and giving — at the center of the eucharistic prayer provide a shape or outline for Christian life. As we consider the pattern of prayer at Table, these gestures provide a basis for Christian action at the Lord’s Table and at the other tables around which we gather. The shape of the prayer at table builds on the shape of the gospel as it provides a pattern for our lives. He concludes the article by saying “regularly gathering around the table to participate in communion provides a template for Christian virtues and practices: living with thankful hearts, forgiving our neighbours, depending on God’s provision, welcoming strangers, practicing hospitality, sharing our belongings, recognizing Christ’s presence, caring for all of God’s creation, and giving up power.” That sounds like a good pattern to live by. You can read the full article: Eucharist as a Way of Life on The Alban Institute website.